Much like telling someone that they should "buy low and sell high" to make money in the stock market, telling someone "eat less and exercise more" for weight loss has little value. Utilizing the latest research, our staff of health professionals work with you one-on-one to guide you using the most effective methods of weight management. Created out of frustration from seeing the weight of patients yo-yo, our program was designed after careful study of scientific, peer reviewed studies that looked not only at how individuals lost their weight, but also how they kept it off for five years or more. We don't believe in "ideal" weights at BMI, or simple measurements like body fat percentages to tell us or you what you "should" weigh. Instead our focus is around the central theme of what we refer to as "Best Weight", which is whatever weight you reach living the healthiest life you can honestly and realistically enjoy. While undereating and overexercising certainly can lead to short term results born out of suffering, we believe you need to actually like the life you're living while you're losing the weight or else you're never going to keep it off. Simply put, there comes a point when a person can't happily eat less and can't happily exercise more and your weight living that life is what we call your Best Weight. Since opening in 2004, the Bariatric Medical Institute has helped thousands of patients with their weight struggles. While we still follow many of the same principles from when we first opened our doors, our program is constantly improving as new research provides more and more insight into the struggles of this complex disease. What remains constant is that for each individual we provide individually and scientifically derived solutions, one-on-one, to help you discover your Best Weight. At BMI it's about the healthiest life you can enjoy, not the healthiest you can tolerate. Partner with our dietitians to craft your own personalized diet. A strong understanding of nutrition is a fundamental building block for weight management, which is why the focus of the first six weeks of your program is on exactly that. Over the course of phase one you'll be introduced to the basics of nutrition by having at least three one on one sessions with one of our registered dietitians along with an hour and half nutrition class. You will discover that there is no need to restrict yourself to certain foods nor is there the need to eliminate other foods. You will learn things such as the difference between micro and macro nutrients and not only what a glycemic index is, but how to use it properly. And most importantly you will learn that hunger and deprivation are NOT required for successful weight loss. The customization of your nutritional program will begin from your first meeting with the dietitian where we will measure your resting metabolic rate-how many calories your body burns at rest. Using indirect calorimetry, measuring the rate of oxygen consumption to indirectly calculate the heat released by chemical process in the body, we're able to tell you exactly how many calories you need in a day for effective weight management. No more guessing, no one size fits all, only one on one customization. Over the course of the next 22 weeks we will teach you how to incorporate this data into your lifestyle to help ensure permanent weight loss. Appreciating why you eat is just as important as what you eat. We help you understand why, and then show you how to take control. After teaching you the essentials of nutrition we begin to work with you on the behaviours that not only have caused your weight gain, but those that have thwarted your past efforts to lose weight or maintain your previous weight loss. We all know that we eat not just when we're hungry and this phase is designed specifically to deal with those times. After reviewing your blood work drawn during phase one and ensuring there are no medical contributors to your weight you will begin working one on one with our physicians where you will review food logs, and more importantly any challenges you might be facing in making lifestyle changes, that will help shape your strategy going forward. Strategies that are not just focused on food, but rather on how to deal with life’s many hiccups that have a direct or indirect impact on your weight. In addition to working with our specially trained physicians, you will also have a 45 minute class with our clinical psychologist that focuses on the "9 Major Road Blocks of Losing Weight". Using the latest evidence based principles of psychology we will help you learn defensive strategies for those thoughts that have sabotaged what started off as the best of intentions. This is where you will learn to take control. By this phase you have already been working out for 10 weeks at our onsite facility where our trainers have helped to focus on your core strength, balance and flexibility using advanced resistance training techniques. Not only will you be noticing an increase in your strength and flexibility, but you will notice a boost in your energy levels. Our goal now is to help you find an exercise program that you can enjoy for rest of your life. Why? Because study after study has shown exercise to be one of the most important predictors of whether or not you will maintain your weight loss. We also know that by exercising while you continue to lose weight you'll help to preserve your lean tissue, your muscles, and that's important because it's your muscles that are responsible for your metabolism. Of course there's no "right" exercise. From our point of view, the best exercise you can do is the one that you actually enjoy enough to keep doing, and it certainly doesn't need to be in a gym. Our trainers will meet with you to design a home based program while working with you to try out a myriad of different activities. Helping you balance the three phases to have a customized program that is designed for your life. The last eight weeks are focused on tweaking and integrating all of the skills you have developed over the first three phases of your program. The objective of this phase is to get you to a point where you are living a lifestyle that you can maintain and more importantly enjoy for the rest of your life. As your body has been changing over the last few months, physical activities that once seemed impossible may now seem too easy. Food situations (like that birthday party) that once seemed uncontrollable, dangerous and frustrating, will now see you not only feeling in control, but will be situations you can actually enjoy. And those inevitable occasional small setbacks will now be viewed as simply that, a small setback rather than a reason to quit. Our team is now focused on working with you to help develop strategies that will help you forge your new found behaviours into permanent habits. As with the first three phases, you will have unlimited one on one access to our team of experts. However, most people at this point find that only our minimum prescribed appointments are necessary as the major learning has already been done. At the end of this phase we will retest your fitness level as well as your resting metabolic rate to demonstrate what has changed and ensure we have a clear picture of what it’ll take for you to continue to move forward. Scientifically designed to ensure that the new you simply becomes you. Statistically the majority of people who lose weight by changing their lifestyles gain it back as they relapse back into old habits and one of the primary reasons why is that they let their guards down too soon. It takes on average anywhere between 6-18 months before new behaviours truly become habits. 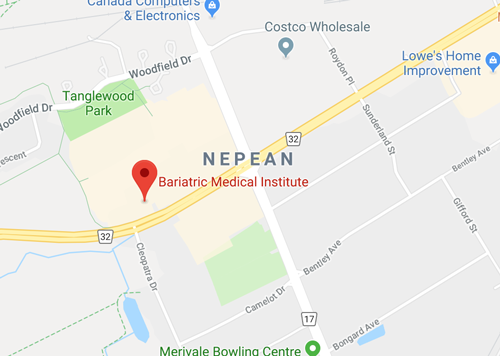 Unlike other weight loss programs, at the Bariatric Medical Institute we don't require you to reach some arbitrary weight before beginning this last phase. We think of our program more like a curriculum and therefore don't think it's fair to require you to redo a course you've already completed. Our focus during your relapse prevention year is your new lifestyle. Because while it's certainly possible to develop a comfortable behaviour in 6 months, for most of us it would be premature to label it habitual. Again, based on the latest research this phase is designed for us to see your comfortable behaviour through to habit formation with you losing weight all the while. Relapse Prevention at BMI still allows for unlimited one-on-one access to all of BMI's specialized professionals and there are options with and without the use of our onsite fitness facilities. Therefore you can think of Relapse Prevention as providing the exact same level of service and attention as the four core phases of the program but at a much lower cost. Although we offer far more services we are dramatically less expensive than other Ottawa based medically supervised weight loss programs. The exact cost of our 22 week program that includes unlimited one-on-one access to our registered dietitians, personal trainers and physicians is $1850 plus HST. There are no hidden fees or required product purchases. Also available is a phase-by-phase payment plan ($625, $475, $475, $475 + HST). At BMI we also realize that sometimes life can get in the way of even our best intentions. That's why at BMI there are no contracts to sign and why there's a no-hassle refund policy in place. If within the first 30 days of starting our program you feel that it isn't right for you, simply let us know and we will refund you the costs of those phases you haven't yet begun. Following the completion of the 22 week program you would have the option of joining us for a further year of Relapse Prevention. Unlike other programs we do not make people re-enroll in the program over and over to get to an arbitrary number, instead we're trying to maintain your lifestyle, and if your lifestyle has fewer calories, you will continue to lose weight. The exact cost for our one year Relapse Prevention program is $650 plus HST and it too includes unlimited access to all of our health professionals.